There is only one week to go. Here is an interview with producer Marcus Wilson on this year’s Doctor Who Christmas Special. “It was an old, old nightmare. When I was a little boy, I used to have an obsession that if I fell asleep facing the wall, as opposed to facing the door of my room, something dreadful would happen to me. I had all sorts of safeguards in case I ever fell asleep facing the wrong way. But one time, I woke up… and I was facing the wall. I was horrified! I spun round, and I was so transported by fear that, for a moment, I saw a seated, wooden king in front of my bedroom door, saying, ‘Well, you got that wrong, didn’t you?’ And I freaked. “The final days of the Ponds are coming,” Moffat said. He said the Doctor, played by Matt Smith, was going to meet “a new friend”. It is believed that role has not yet been cast. 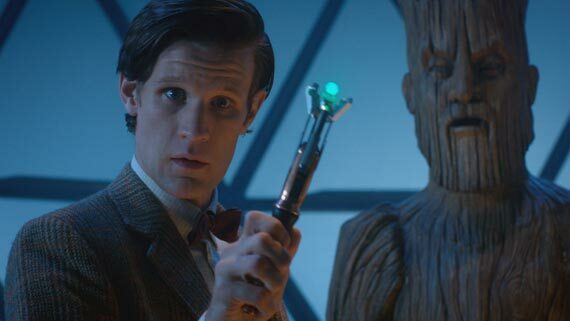 On the departure of Gillan and Darvill, Matt Smith said: “We had the most incredible journey. We took over the show and we’ve really had to hold hands and help each other through it. Moffat also says that the movie discussed by David Yates which presents a Doctor Who separate form the television show will not occur. David (Yates) was talking a little out of turn, there; a very, very brilliant director but no the film as described by him, of course we’re not going to do that—a film that contradicts the television series, it would be a heathen thing to do … I would be ‘beheaded’ to do such a thing! It would be wonderful to do a Doctor Who film, but when and if we did—and hopefully we will be doing it—it will be very much an offshoot of the television series and we’ll be part of it, and it will star the television Doctor, of course—anything else would be heresy! Neil Gaiman on his favorite moments from the past season of Doctor Who. The other big special of the holiday season is the two hour Downton Abbey Christmas Special. Warning, there are MAJOR SPOILERS for those who have not seen the second season, which so far has aired in the U.K. but not the U.S. The preview gives the impression that the special deals with two major plot lines of the second season which were left unresolved at the end of the season. Dexter and Homeland (my favorite new show of the season) conclude their seasons tonight. Going into the final two seasons, I wonder if Dexter will have any major developments tonight beyond killing the big-bad of the season. I’m curious as to how Homeland will conclude and still leave things open for a second season. Claire Danes does say in the interview above that there will be a second season. Presumably if Carrie saves the Vice President and perhaps exposes a mole in the CIA her career will not look as finished as it did last week (assuming she stays on her meds). What was your reaction to the story line when they explained it to you? Well, when they told it to me, it was incredibly vague. They just said, “You’ll be one of the two bad guys; you’ll work together as a team.” And then they said — well, I can’t really say because we haven’t aired yet — but they told me a version of what is going to happen at the end, which was sort of like the caveat. Which ended up not happening, by the way. The end changed from when you got the role? Yeah, as with all things TV, it’s always fluid, it’s always morphing, it’s always changing, it’s always growing. And I think there was a lot of that throughout the course of the season. They didn’t tell me about the twist in — I think it was the “Get Gellar” episode — until right before they sent that episode out. Oh, so you didn’t know from the start that Professor Geller was really dead? I didn’t know. I didn’t know about the big reveal. No. No, no, no. They didn’t tell me, so I just played him as if he were a real person. Which is great. Do you think you might’ve played it differently had you known? Maybe the religious angle is getting people especially fired up. He’s a religious zealot. Yeah, but it comes from a place of not being right in the head to begin with. It’s not like the religion is there, and then he went crazy because of the religion; he was crazy before that and he was going through his personal issues before that, so as things sort of were progressing, and once we got to the stage where we were really sort of learning things about Travis, I became much more sympathetic to him. Then at the end he just goes all out evil and crazy. Dexter’s son Harrison gets involved in the finale when Travis kidnaps him. Was it hard to play insane killer scenes with a toddler? It was incredibly hard. Without giving too much away, it’s incredibly dramatic and there’s yelling and it’s a culmination of the entire season. I mean, it’s the climax of the season. And I’ve got a sword, I’m holding a kid, he doesn’t know what’s going on. I’m supposed to put him in this thing and he doesn’t wanna go. And you know, I have a kid now [in real life], so my heart is just breaking for him because he’s crying. Again, John Dahl directed, he directed the final episode, and I said to him, “Of course it’s the climax of the season and we’ve gotta deal with this screaming 3-year-old kid for two days.” Not easy, but we did it. 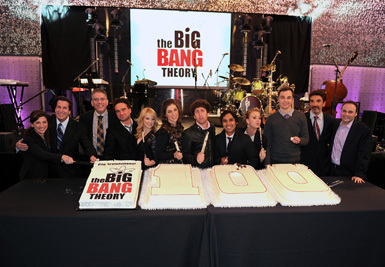 In other media news, congratulations to the cast and crew of The Big Bang Theory on their 100th episode. This day also brought the sad news of the death of Czech playwright, dissident, and later political leader Vaclav Havelwho helped bring about the downfall of the Soviet Union. The week also saw the loss of Christopher Hitchens. Posted in International, Science Fiction, Television. Tags: 24, Amy Pond, Claire Danes, Doctor Who, Homeland, Neil Gaiman, Science Fiction, The Big Bang Theory, The Doctor The Widow And The Wardrobe. RSS feed for comments on this post.. TrackBack URL.